Cabinet Wholesalers in the company to trust for cabinet refacing services in Coto de Caza and nearby areas in Southern California. Refacing your cabinets is a more affordable choice than completely replacing your kitchen cabinets and can also be more affordable. You still end up with beautiful kitchen cabinets, but the difference is instead of replacing your cabinets, we just replace your doors and drawers, while leaving the cabinet frames intact. We cover the old cabinets with a solid wood veneer, hiding your old cabinets and making them look new. You get to pick out new door styles and new cabinet pulls, even new cabinet stain colors. The finished result is a whole new look. If you’ve been dreaming about your dream kitchen, Cabinet Wholesalers is ready to help give you the kitchen you’ve always wanted. 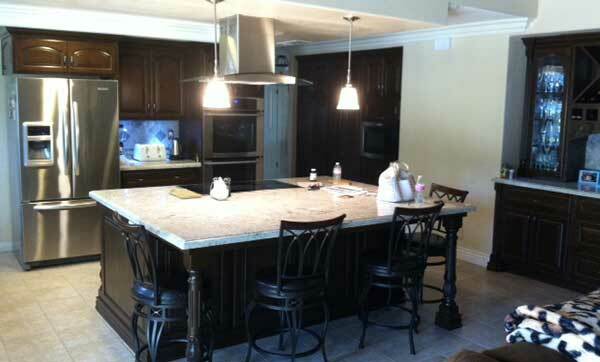 Find out more about our kitchen cabinet refacing services by calling us at 714-693-1111.